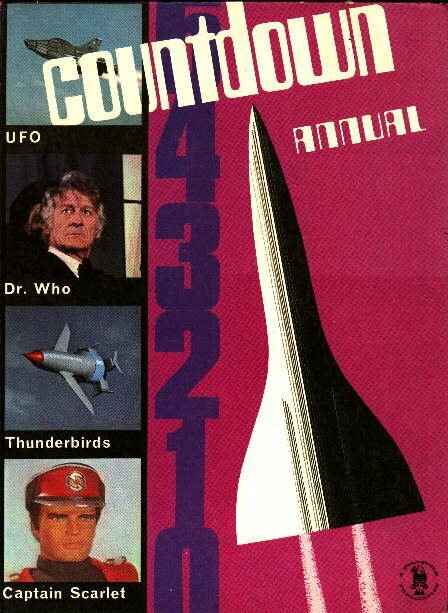 UFO Memorabilia Collection - Countdown Annual 1972. This annual is 8 * 11 inches in size and contains the following UFO related items. colour strip story " The Circus". brief text overview of SHADO, with colour pictures. Title "The Defenders, Emergency Red Alert". large picture of S.I.D. inside front cover - 16 * 11 inches. large picture of Skydiver inside rear cover - 16 * 11 inches.